According to the Dallas Morning News, Disney shops in J.C. Penney’s children’s department are gearing up for the release of Disney’s live-action Cinderella. These stores-within-stores are located in select J.C. Penney locations. As the exclusive retail sponsor of the Academy Awards on Feb. 22, the retail outlet is devoting one of its 30-second spots to Cinderella merchandise. In addition, the ball gown worn by James in the movie will be on exhibit Feb. 12-22 at the J.C. Penney store in Manhattan. As part of the promotion for the film J.C. Penney locations will be offering free movie tickets with Disney purchases of $50 or more from Feb. 27 to April 1. 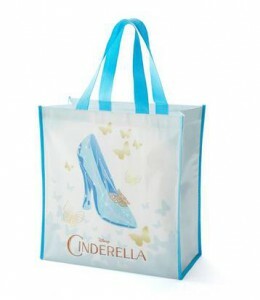 Cinderella tote bags will be given to customers spending at least $25 on Disney merchandise from Feb. 19 to April 15. 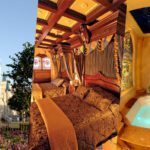 Since the Frozen Fever short will be attached to Cinderella, they will also be adding summer Frozen merchandise to its stores on March 1, including beach towels, swimwear and flip-flops, she said. 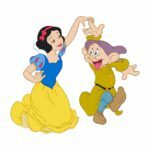 J.C. Penneys has a long history with Cinderella. In 1950, when the animated movie was released the store issued a print marketing piece that included details of the film and a free pattern that could be used to sew a Cinderella-inspired apron from fabrics sold at Penney.